Shoppers don’t hate ads and sales calls. They hate ads and sales calls that aren’t personalized based on their needs, interests, and goals. They're dismissive of ads and sales calls that don’t provide value or new information. Personalization in 2019 is about more than adding a prospect’s name to an email or using a chatbot on your website. Car shoppers today expect marketing, advertising, and conversations that are relevant to their individual wants and needs. To meet this expectation, dealerships should leverage AI and technology so that their communication is personalized and valuable for each and every prospect. Personalization is all about building one-to-one relationships, and it’s easy for things to go wrong if data sets are inaccurate or personalization tactics feel creepy rather than valuable. To master the art of personalization in sales, here are some helpful dos and don’ts for auto dealerships. DON’T reveal an expansive amount of information about your customer. Although personalization is more than appreciated (it’s expected), it can be unsettling for customers if businesses cross the line into ‘how do you know that’ territory. Be respectful of personal information and data that’s tracked. Use it to ask informed questions and start positive conversations, not bluntly share everything you know about a prospect. DO give customers what they want. A recent study found that consumers are increasingly willing to share their data in return for a more personalized shopping experience, including relevant recommendations, targeted offers, and information on future product availability. Shoppers have come to expect personalized shopping experiences and are no longer satisfied with generic messaging or advertising that doesn’t reflect their preferences. Use your CRM to note all the information you gather in conversation or through other sales tools. Include inventory your prospect has viewed, trim and color preferences, information about lease incentives, trade-in value, and eligibility for specific deals like veteran or recent graduate incentives. Share inventory, discounts, and details that speak specifically to each individual so that you can build rapport with every interaction. Shoppers expect personalized shopping experiences and are no longer satisfied with generic messaging or advertising that doesn’t reflect their preferences. 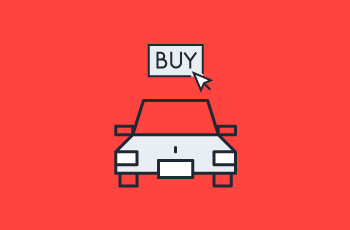 DO study up on each lead’s shopping habits and vehicle preferences before engaging. Using Foureyes Tap lead insights, you can tailor your outreach and follow-up to perfectly match each lead’s wants and needs. You only get one shot at a first impression, and showing you care by including relevant inventory, price points, and trim or color preferences sets you up for success with each customer interaction. Take advantage of the data that’s available to start better conversations and build positive relationships with prospects. DON’T jump to conclusions. Use lead insights to start the sales process, but then listen to your customers and use personal interactions and insight to help guide them to the vehicle that’s right for them. Better prospect intelligence paired with smart sales processes will help increase close rates, but sales tools don’t sell—you sell. Software can’t (and shouldn’t) replace the value of intuition and the role of the auto salesperson. DO use a dynamic email tool to personalize follow-up at scale. For prospects who have been looking at inventory on your dealership’s website, you can use intelligent automation to send dynamic notifications about the exact inventory they showed interest in. Alerts about price drops, new inventory, and similar vehicles they may be interested in can all be sent without you having to lift a finger. DON’T overdo it. Remember, your follow-up should provide value and spark interest, otherwise you risk customers ignoring your name in their inbox. Always include ‘unsubscribe’ or ‘opt-out’ options in every communication sent, that way customers never feel like they’re getting bombarded. Use AI to scale and be more efficient, but don’t let it dilute your relationships with your customers. Asking for and managing online reviews is the best way to gain insight into your customer experience. If you have happy customers who feel heard, your personalization efforts are succeeding. DO monitor how you’re using personalization to make sure you’re seeing a high return. Done right, personalization should help you hit your sales goals and dealership benchmarks. To increase ROI on your sales and marketing efforts, use sales tools that personalize down to the individual. You will know personalization is working when you see things like higher email engagement, increased repeat visits online, and (ultimately) improved close rates. DON’T just focus on what the data says, look at what your customers are saying to understand if personalization is working. Asking for and managing online reviews is the best way to gain insight into your customer experience. Don’t ignore your star ratings—be attentive to what your customers are sharing in reviews and on social media to understand how to improve personalization and use this feedback to create a better customer experience. If you have happy customers who feel heard, your personalization efforts are succeeding. If you’re ready to put these tips to work, you need the tools to support your efforts. Our Foureyes products provide dynamic outbound communication and actionable insights to enable effective conversations and advance the sale. Schedule a Foureyes demo to see how better sales intelligence will allow you to deliver a better customer experience and sell more cars. Reach out to learn more.